Unless you’ve made yourself a nice, cozy home beneath a rock somewhere, you’ll know that the last few years have witnessed a veritable explosion of TV and film-based adaptations of classic fairy tales. ABC’s Once Upon a Time indiscriminately mashes together every fairy-tale character ever into one small town. Mirror Mirror and Snow White and the Huntsman both attempted to rejuvenate the Snow White story. Beauty and the Beast, on the CW, is a modern retelling of the classic “beauty is only skin deep” narrative. 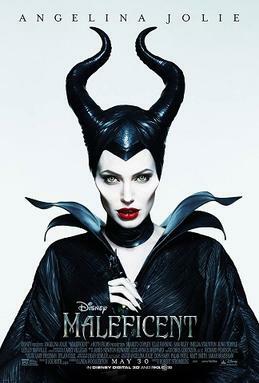 And most recently, Maleficent seeks to rehabilitate the titular villain from Sleeping Beauty. But for the most part, all of these shows start where the Disney versions left off. Well, I’ve got news for you, folks: Disney’s fairy tale mythology is pretty different than the original versions of most fairy tales. The collected folk stories of the Grimm brothers, Charles Perrault, and Hans Christian Andersen often ended in misery, tragedy, and violence. So, in the spirit of contrarianism, I thought I’d put together a list of all the creep-tastic original versions of fairy tales that I’d rather see adapted to the big screen than yet another Disney-fied mush-fest. 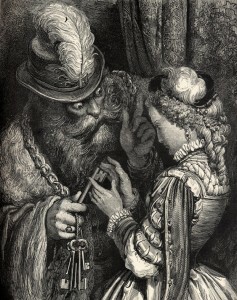 Although no one knows what became of Bluebeard’s previous wives, he somehow entices a young woman to marry him. He gives her the keys to all the rooms in his castle, including one small room which he adamantly forbids her from ever entering for any reason (bad move). Predictably, the moment Mr. Bluebeard goes out of town his young wife heads straight for the forbidden room, only to find it awash in blood and the carcasses of Bluebeard’s former wives hanging from hooks in the ceiling. The Hollywood adaptation of this classic boy-meets-girl boy-loses-girl romcom will star George Clooney as our wise-cracking anti-hero and Scarlett Johansson as his headstrong wife.